U.S. 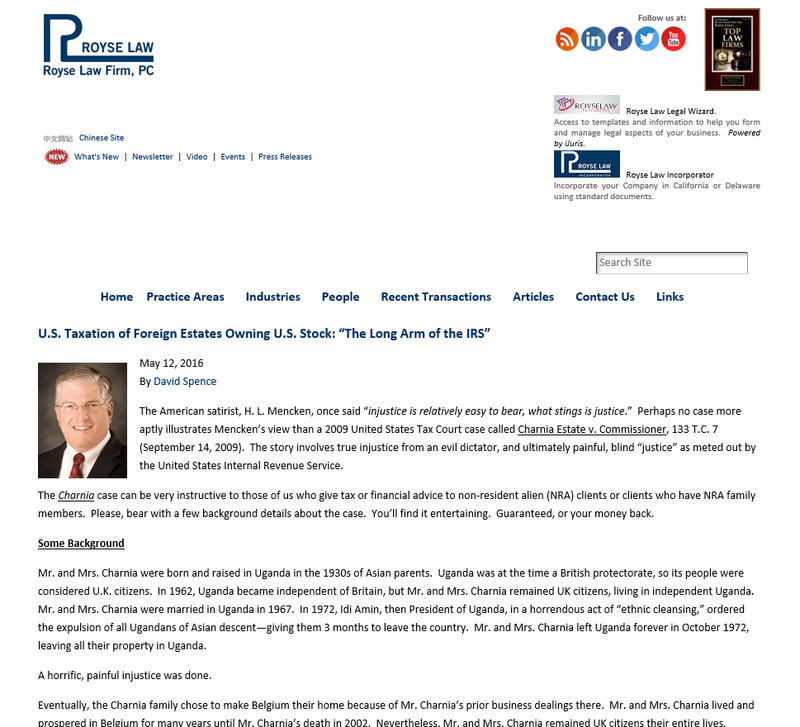 Taxation of Foreign Estates Owning U.S. Stock . . . by David Spence, Esq. Posted on June 28, 2016 by David Tate, Esq. Below is a snapshot, and then a link to a recent article by my friend, attorney David Spence of the Royse Law Firm, entitled “U.S. Taxation of Foreign Estates Owning U.S. Stock . . . .” Thanks for reading, and forwarding to other people who would be interested. Dave Tate, Esq. This entry was posted in will, estate, trust, elder, contest, fiduciary, decedent, intent, disability, conservatorship, elder abuse, elder protection, trustee, beneficiary, executor and tagged foreign estates, foreign estates taxation, foreign ownership of US stock, foreign taxation, taxation, US taxation. Bookmark the permalink.